10 ml Mix of BioACTIVE+ and Dutch Natural Healing CBD Paste. The concentration of this product is 6- 8% but the effect will be up to 10x stronger. 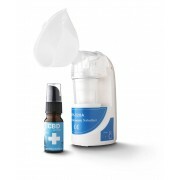 The syringe pump gives about 52 doses of 0.2 ml CBDactive+ mix. For most people, this is enough for more than 50 days. 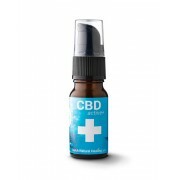 BioACTIVE+ CBD mix is a new, innovative and drinkable alternative to CBD paste. The blend is soluble in water and this means it is completely absorbed by the body. 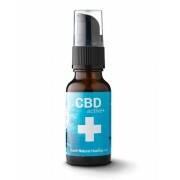 Regular CBD products and cannabinoids are fats and are therefore mainly degraded by the body. As a result of this just 10% is effectively absorbed by the body. The BioACTIVE+ mix ensures that the active ingredients are fully absorbed. It also contains all terpenes that the primal hemp produced. Consequently, the cannabinoids that reach the bloodstream degrade with difficulty or slowly. The BioACTIVE+ CBD mix dissolves in tea, lemonade or other drinks and makes it no longer necessary to keep it in your mouth for a while. It also tastes a lot nicer. 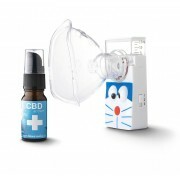 Since it is soluble in water, you can also use it in a nebulizer so that the active ingredients can be inhaled in a healthy and responsible way.